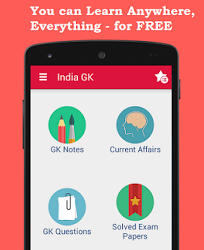 23rd, 24th January 2017 Current Affairs MCQs, Quiz, Questions: Current Affairs for January 2017, Daily Multiple Choice Questions (MCQs) for India GK, World GK and current affairs with Collection of daily objective type Question by www.Indiagk.net based on General Knowledge (GK) and General Science (GS) Questions for UPSC, State PSC, SSC, Police exam, Railway exam, SBI, Bank PO, IBPC, SSC, LDC, UDC, Army, Airforce, Navy, Coast Guard, Bank Clerk, TET and all entrance examination with current affairs News, Multiple Choice Questions (MCQs) available on Website www.IndiaGK.net and Android Apps with daily updates:. Who wins Malaysia Masters Grand Prix Gold on 22nd January 2017? Explanation: Saina Nehwal notched up her first title after a career-threatening injury of 2016 by claiming the women’s singles title of Malaysia Masters Grand Prix Gold tournament on 22 January 2017. The Indian badminton ace recovered from a poor start in the first game to stave off the 19-year-old Chochuwong in Sunday's final. Saina's last title win was at the Australian Open in June 2016. Which Indian personality will become judge in the 2017 Miss Universe pageant? Explanation: Sushmita Sen, the former Miss Universe and Bollywood actress, will be on the judging panel at the 65th edition of Miss Universe pageant-2017 pageant. Sen was the first Indian to win the crown. This year, Roshmitha Harimurthy will represent India at this prestigious contest, which will take place on January 30, 2017 at the Mall of Asia Arena in Manila, Philippines. Who confers National Bravery Awards to children on 23rd January 2017? Explanation: PM Narendra Modi felicitates young brave hearts with bravery awards; awards given to young children who display absolute selflessness, strong will and immense courage while facing fatal adversities. Every year National Bravery Award Winners breathe life into this proverb. 25 young bravehearts, 12 girls and 13 boys were felicitated by Prime Minister Narendra Modi. Four of them awarded posthumously. This year's Sanjay Chopra awardee Sumit Mamgain, caste aside fear to save his brother from a Leopard. Which state sets record of forming longest human chain of 3 Crore people to make State free from alcohol? Donald Trump took charge as the new President of USA. He became ……… President of USA? Governor of which state signs ordinance for jallikattu on 21st January ? Who releases National Action Plan for Children, 2016 on 24th January 2017? Explanation: National Action Plan for Children, 2016 (NPAC) was launched at a special function held to celebrate the National Girl Child Day in New Delhi on 24th January 2017by the Minister of WCD, Smt Maneka Sanjay Gandhi. The NPAC has been developed by the Ministry of Women & Child Development. The Action Plan has four key priority areas; survival, health and nutrition; education and development; protection and participation.